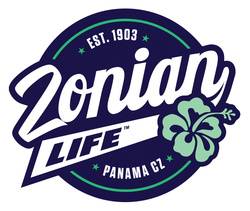 select Zonian Life™ apparel and merchandise. All you have to do is subscribe below to our regular CZ Life Insider e-mailings and you'll be kept informed! Also at Zonian Life, WE ABSOLUTELY RESPECT YOUR PRIVACY, so please no worries about the information you share with us as it will only be used by us to communicate with you about special Zonian Life offers. What Years Did You Live in The Canal Zone? What Township or Military Base Did You Live? What Canal Zone Schools Did You Attend?